Passion Week (Holy Week) is a tradition that many Christians observe as a time to commemorate the suffering, death and resurrection of Jesus Christ during his last week of life leading up to the cross. 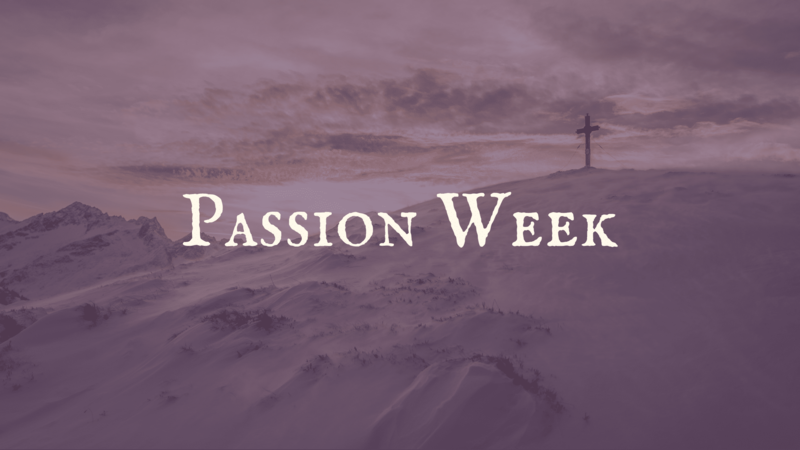 The word passion for Passion week does not come from the definition we usually associate the word to mean: strong or barely controllable emotion. Rather, it is taken from the Latin word passio, which means suffering. The following reading schedule corresponds with the days and events of Jesus’ Passion Week. Along with it are short videos of biblical scholars giving additional context and insight to each day’s events. Feel free to incorporate these resources in your devotionals this week as we approach Good Friday and Easter Sunday! Sunday, March 29, AD 33. Thursday, April 2, AD 33.